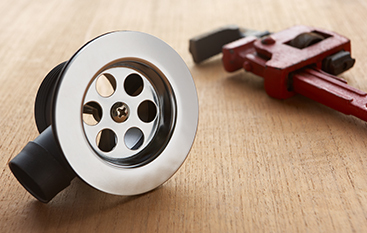 Nobody wants to be caught in the middle of a plumbing emergency, but life has a funny way of throwing unexpected situations our way. As a homeowner, you’re bound to be faced with this problem at least once, which is why in today’s blog post, we’ll go over a few plumbing emergency tips you should keep in mind to make the situation less overwhelming and stressful. At Vegas Valley Plumbing, we offer an array of Top Rated Local® plumbing services to Las Vegas and surrounding areas, ranging from emergency repairs to water heater installations. Our team of experienced plumbers can help you with whatever your plumbing emergency may be, whether its a clogged toilet, flooding water heater or something completely different! 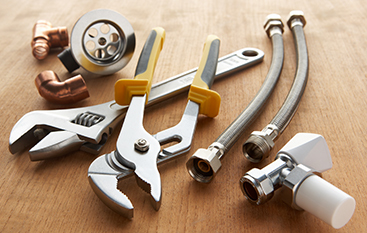 Call us today to tackle your next plumbing service. Continue reading below for our five emergency plumbing tips to make sure your plumbing system stays in decent shape until a plumbing professional can come to the rescue! 1. Shut off your water to prevent any further damages. Probably our most important tip, make sure to shut off the water system of your home to prevent any further damages from occurring. For your toilets, sinks and other appliances, you can shut off the water valve to that appliance by turning its individual valve clockwise. If done correctly, this should immediately shut off the water to this appliance entirely. Not sure where to find these valves? For toilets and washers, the valve is usually located right behind the toilet or washer on the wall. For sinks, the valve is located right below the sink (usually in a cabinet). 2. Move any belongings or furniture to a dry area. If your plumbing emergency happens to be related to flooding, remove any of your belongings or furniture to a drier area to prevent any water damage. 3. Unclog any drains, if necessary. If your plumbing emergency is related to a drain clog, try unclogging the drain with a home plunger after you turn off the water. Whether the clog is in your toilet or sink, this can often solve your problem. If you don’t feel comfortable unclogging your drains yourself, call a friend or family member, or simply wait until your plumber arrives. You don’t want to worsen your situation and possibly cause further damages (and headaches). 4. Remove any standing water. If your plumbing emergency is flooding-related, clean up any standing water from your floors or the area as soon as you can. It only takes between 24 and 48 hours for mold to start forming, which will only add another problem to your current list of problems. Whether you use a mop, towel or wet/dry shop vac, clean up the water and immediately air out the room. 5. Take photos and write down notes. This tip is for insurance purposes in case your flooding emergency is something that can be covered by your insurance company. Take a lot of photos and take detailed notes about how the flooding issue occurred. Not sure how to tell if you’re in a plumbing emergency or not. Check out our recent blog post to learn more. If you’re looking for high-quality, emergency plumbers in Las Vegas, look no further than our team at Vegas Valley Plumbing. With more than 20 years of experience in the industry, we have three main priorities: knowledge, experience and hard work. 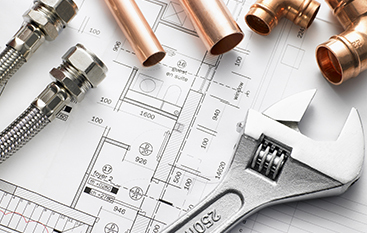 Our plumbing technicians have extensive experience working with a variety of manufacturers and brands, and we can complete your emergency repairs effectively and efficiently. 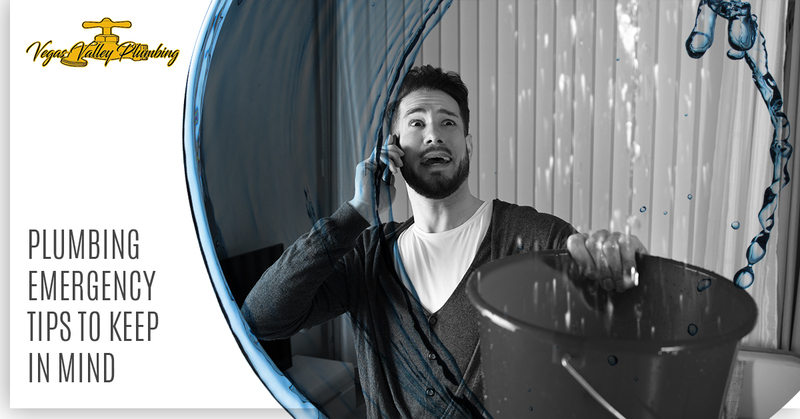 Don’t let your emergency plumbing issue get out of hand — contact our plumbers today. You can reach us by calling (702) 213-5381, or for non-emergencies, you can fill out our online form and we’ll get back to you as soon as we can.